Age 72 of Bolingbrook and formerly of Bensenville, Illinois, passed away unexpectedly on Tuesday, March 26, 2019 at Elmhurst Hospital. Born January 12, 1947 in Brunswick, Georgia, Morris Gordon was a son of William Wilson and Margaret Ruth (Derick) Bartlett. He graduated from Rockford Guilford High School with the Class of 1966, where he left behind a legacy of being a four year all state wrestling champion. 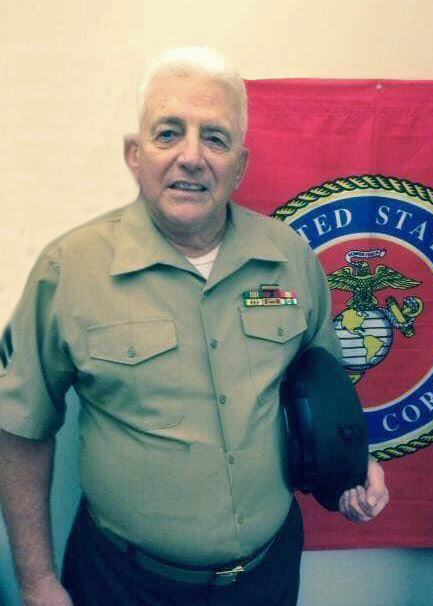 A proud Vietnam Veteran, Morris honorably served in the United States Marine Corps where he earned the National Defense Medal, Vietnamese Service Medal, Vietnam Campaign Medal, Presidential Unit Citation, Meritorious Unit Citation and a Marksmanship Medal. On May 23, 1970, Morris married Nancy L. Williams in Pleasant Valley, Illinois and together they made their home and raised their family in Bensenville. Morris worked as a banker, and his career began with the State Bank of Bensenville. Over the years in addition to returning to Elmhurst College to attain his Bachelors Degree, Morris held employment with several financial and lending institutions before retiring as a personal banker. He was an active member of the First United Methodist Church of Bensenville; the Bensenville A.F. & A.M. Lodge #1159, the Scottish Rite, Medinah Shriners and the American Legion Post #1205 in Wood Dale. Morris’ enthusiasm in cars also spurred his involvement with the Medinah Antique Car Club; Hot Rod Power Club; Illinois Camaro Club; the National Hot Rod Association, and his participation in the Hot Rod Power Tour. Remembered as a huge fan of the Chicago White Sox; Morris loved Country music, Elvis, as well as the oldies, and in years past took pleasure in golf and camping. 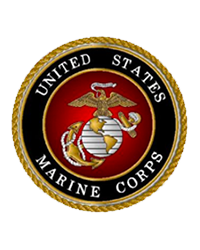 As a true Marine, Morris lived his life in the true motto of Semper Fi; always faithful to country and to those near and dear to his heart. His family always came first, and he enjoyed and treasured every moment spent with them. Although Morris will be forever missed, he leaves behind a priceless legacy that his loved ones will proudly carry on. Survivors include his wife Nancy; four children: Lesley Gill of Oswego, Derick (Lyndi) Bartlett of Springfield, Missouri, Andrea (Joseph) Fonck of Glen Ellyn and Erica (John) Haavig of Orland Park; grandchildren: Ryan Lewandowski, Zachary Gill, Charles Gill, Logan Haavig, Addison Bartlett, Ivy Bartlett, Ryan Haavig, Waverlee Bartlett, Joseph Fonck and Clark Bartlett; one sister, Betty (Ricky) Pooser of Orangeburg, South Carolina; two brothers: Walter (Melissa) Bartlett of Carolina Beach, North Carolina and Bill (Elaine) Bartlett of Johnson City, Tennessee; his father-in-law, Richard Williams, and brothers-in-law and sister-in-law: Bill Williams and Tom (Jill) Williams, all of Stockton, Illinois; numerous nieces and nephews, and his cousin G.B. 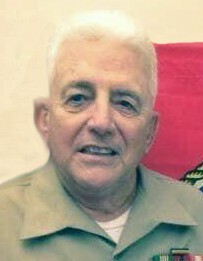 (Joyce) Mitchell of Darien, Georgia, who was like a brother. Morris was preceded in death by his parents, William and Margaret Bartlett, and his mother-in-law, Carolyn Williams. Per Morris’ wishes, cremation rites are being accorded. The family will receive friends for a memorial visitation at the First United Methodist Church of Bensenville, 328 S. Church Road in Bensenville on Thursday, April 4, 2019 from 4:00 p.m. until the time of services at 6:00 p.m.
Inurnment will follow Friday morning, April 5, 2019 at 10:00 a.m. in Abraham Lincoln National Cemetery in Elwood, where Morris will be laid to rest with full military honors rendered by the United States Marine Corps and the Abraham Lincoln National Cemetery Honor Squad. Preferred memorials may be made as gifts in Morris’ memory to the Alzheimers Association.